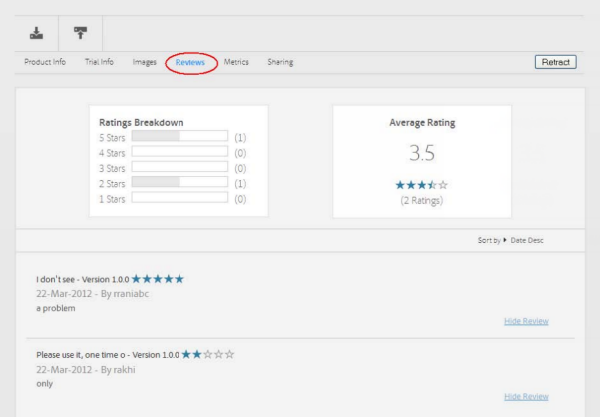 After you have published products in Adobe Exchange, you can create new update or patch versions, check user reviews and ratings, and monitor usage patterns through metrics provided in the Producers Portal. If you need to make a minor change to a product after it is published (to fix bugs, for example), you must create and upload a patch version with a new minor version number. Use the Create Patch button in the Product Info page for the published product. When the upload is successful, you go through the same testing and approval process that you did for the original version. You can either submit the new version for approval with or without the auto-publish option. The previous version remains fully active and functional on the store while the patch is being reviewed by Adobe. When the patch is approved and published, the previous version is automatically withdrawn from Adobe Exchange, so that users can download only the latest version. Previously installed versions continue to function for users until they choose to upgrade; they are not automatically uninstalled. Users who have previously downloaded your product see an update badge for your product in the My Stuff area of the Adobe Exchange panel, the Creative Cloud desktop app, or the Creative Cloud Add-ons site. Once a user upgrades, they do not have the option of going back to a previous version. 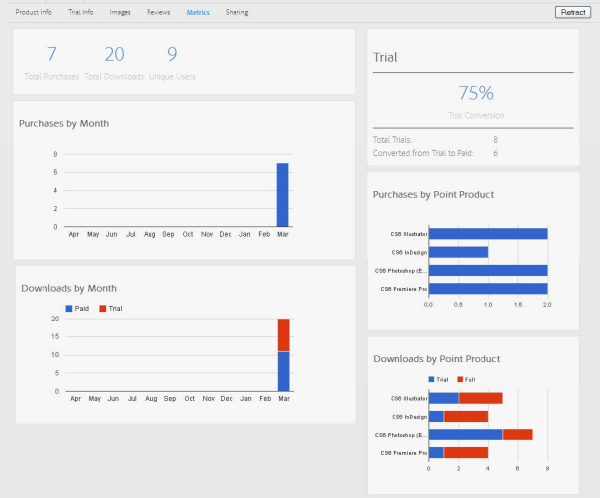 Once a product has been published you can monitor the reviews that you receive against this product and analyze purchases and downloads of your products through metrics. 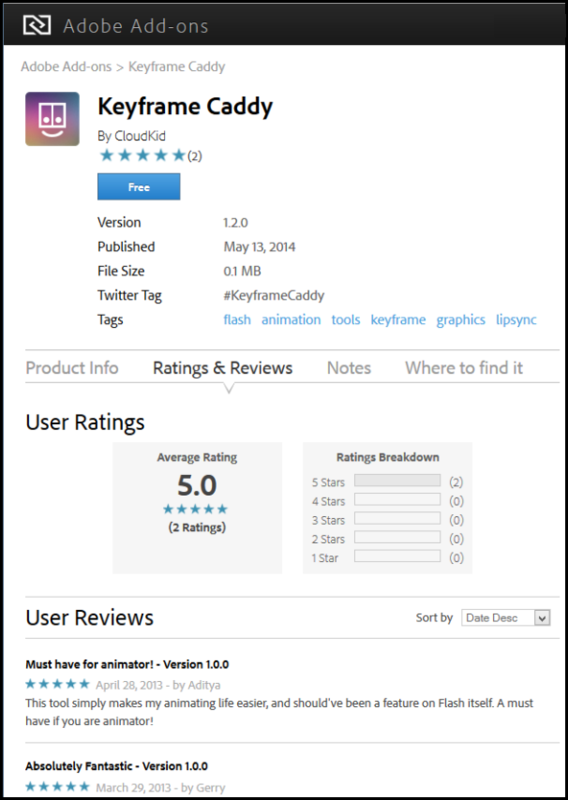 On the Reviews tab of the Adobe Exchange panel, or in the Ratings and Reviews section of a product page in the Creative Cloud desktop app or Add-ins site, you can see the average rating of your product and individual review comments entered by users . You have the option to hide comments that you consider to be inappropriate, but ratings associated with those comments will still appear and be shown to users. Users will be able to see that a comment has been hidden, but not be able to see the content of the hidden comment.